Christmas is widely seen as a Christian tradition, yet many parts of it have been linked to pagan practices. 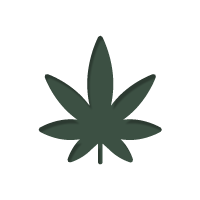 Some suggest that the tradition revolves around the use of magic Mushrooms, and there are compelling arguments. Christmas, in all its celebrations, trees and figures is seen as a pretty solid Christian tradition. It is the celebration of the birth of Christ and is a holiday that is recognised the world over. But why do we bring evergreen trees into our houses? Who is this mysterious fat man bearing gifts? And what do they have to do with Christianity and its celebrations? Well, not much it turns out. Did shamanistic Practices shaped Christmas? Before Christianity took a major hold, many European countries practiced paganism and shamanistic rituals. It is largely thought that the inclusion of Christmas trees and Santa Claus is a melding of Christianity with the pagan traditions of the time - and there are many theories on the subject. One such prominent theory has been formulated by John Rush, an anthropologist and instructor at Sierra College in Rocklin, Cliff. He believes that these traditions can be traced backed to the shamanic practices of using magic mushrooms. "Santa is a modern counterpart of a shaman, who consumed mind-altering plants and fungi to commune with the spirit world", he says. 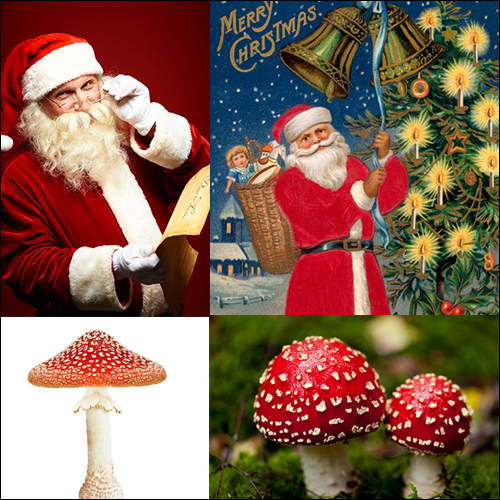 According to his theory, Santa derives from shamans in the Siberian and Arctic regions of the world, who would visit locals during the the month of December to give out bags of fly agaric mushrooms as presents. He describes how up until a few hundred years ago, practicing shamans of the the older traditions would collect Amanita muscaria (fly agaric), dry them, and give them to his people as gifts on the winter solstice. He even goes on to describe how the shaman would often use an opening in the roof to deliver their presents, as the vast amount of snow in the region would have blocked the door – hence Santa using chimneys. So and why does Santa wear red and white? The answer to this once again draws back to the colourful mushroom. Amanita muscaria is most notably recognised for its red cap speckled with white dots. This was replicated in the clothing of the shaman who would wear red and white fabrics to signify the importance of the mushrooms during their harvest. Even placing presents under a tree has links to these colourful magic mushrooms. James Arthur, in his book “Mushrooms and Mankind”, outlines how the colourful Amanita muscaria has a symbiotic relationship with evergreens, and can quite often found growing underneath them. According to Arthur, this is where the tradition of brining evergreens into our homes and placing colourful presents under them comes from – as homage to the holy mushroom and the spirits it was used to commune with. The idea of reindeer flying sounds pretty farfetched. Yet it is largely believed that this is how Santa gets about. This may not be as crazy as it sounds though. Reindeer are native to Siberia and are a very common sight. They have even been documented actively seeking out the mushroom themselves for their psychedelic properties. Donald Pfister, a biologist at Harvard University says it is not unreasonable that if both shaman and his reindeer are tripping, then the shaman may hallucinate that they were flying – especially if the reindeer had been eating mushrooms themselves and behaving erratically. Carl Ruck, a professor of classics at Boston University also supports this theory. He outlines how shaman would often use the magic mushroom and the hallucinations they induce to commune with animal spirits, journeying with them on vision quests. Of course, there are many who debate that this theory and are against the idea that these Siberian shaman have anything to do with Christmas and Santa Claus. For example, the historian Ronald Hutton, who claims to have studied Siberian shamanistic practices, points out a couple of flaws. He has concluded from his own study into the area that shaman didn’t ride sleighs and they rarely dealt with the spirits of reindeer. However, Ruck disputes this. Whilst shaman may not have used sleighs, it is the symbolism of transportation during a hallucination that matters; and if there really is no connection, why do the shaman deliver the mushrooms as presents in December through the roofs of the locals? Why do they wear red coats, lined with white fur and wear black boots during the harvest? And why is there a significant link between placing presents under a tree and where these mushrooms are found? Of course, it is only a theory, but it certainly an interesting one, and one that we certainly enjoy. These practices could have very easily have spread across the European mainland, evolving and developing as they hit each culture. Even the location that Santa Claus is meant to live in shouts support for the theory, as the region that these shaman come from pretty much is the North Pole!